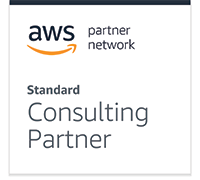 As an AWS partner, StackOverdrive effectively educates, supports, and mentors Amazon Web Services (AWS) clients. As a global communications infrastructure, AWS offers a full range of cloud-based computing capabilities. Our AWS experts help organizations learn to utilize AWS products and services tailored specifically to individual needs ranging from; infrastructure design, implementation and AWS managed services. Our AWS Consultants will audit your existing infrastructure to get an understanding of the nuances of your current stack and come up with a design and strategy to implement your AWS cloud migration. Our AWS Infrastructure Design & Strategy Engineers use proven design patterns to ensure we are creating an infrastructure that can easily be maintained, is scalable and secure to meet the demands of your organization. We will design your infrastructure to be 100% codified & automated, making it less error prone, more reliable and stable. AWS lets you scale globally, on-demand. We architect your infrastructure for high-availability and improved overall performance, offering intrinsic flexibility throughout any enterprise life-cycle. We can build your infrastructure using a hybrid approach of seamless connectivity between your internal data centers and your AWS Virtual Private Cloud (VPC) for sending data upstream, downstream or both. Uptime if of the utmost importance, so we make sure to build out your infrastructure to be self healing. We try to foresee problems before they happen by implementing proper monitoring, introspection and telemetry for a total holistic view of your AWS infrastructure. When we build out a new AWS infrastructure we will build with security in mind from the beginning, following the principle of least privilege. By doing this we ensure your systems are secure from external threats but also internal threats like careless developers deleting something they shouldn’t. Cost Management is a must when utilizing the cloud because if your organization isn’t following the right patterns, your AWS cloud costs can easily get out of control. With a cost optimization audit of your infrastructure and implementation, we could help you save an estimated 30%-40% per year. We setup all the automation to control the standing up and of your VPCs, VPNs, monitoring stacks, and Kubernetes clusters using tools like Cloudformation, Chef, Ansible or Puppet. Once changes are detected in your application’s version control, continuous integration will run the build process which creates a Docker image and ships it to your Docker registry. Additionally, for quality assurance purposes a user acceptance testing environment creates a version of the application in your cluster. Regressions are captured in the pipeline and stopped at the door prior to getting to production. Once tests pass and the team is satisfied, the GitOps workflow updates the application running in higher environments. Once your application has been deployed, you can then proactively monitor your infrastructure to instantly detect issues with your deployments and alert the team. Logs are aggregated, shipped, and backed up automatically. If issues arise from failed deployments, server outages, transaction locks in your database causing 500s, scalability concerns causing application reaping, our 24x7 AWS Managed support team can handle incident management for your infrastructure. We also proactively maintain your infrastructure by handling security and patch management, health checks of your infrastructure, service upgrades, monitoring and backups. Our AWS managed services can help your business deliver faster and more economically and we want to help you make that happen. Call 1-844-733-8677 or fill out the form below and one of our AWS consultants will get back to you.